Born to a Scottish family in Australia, McDonald grew up in Melbourne, beginning his career at Doveton before joining Cranbourne Comets. Going out on loan to Gippsland Falcons, he made his first-team debut aged just fifteen. At 16, he decided to go to Europe to further his career, and was picked up by Southampton in late 1999 after impressing for Australia at U17 level. He made his Saints debut against Brighton in September 2001, and went on to make to Premiership appearances against Aston Villa and Middlesbrough, before falling out of favour in October 2001 following the arrival of new boss Gordon Strachan. After loan spells with Huddersfield Town and Bournemouth during the 2002/03 season, he was released by Southampton in the summer of 2003. After a short spell with Wimbledon, at 20 years old he arrived in Scotland for a trial at Tannadice but failed to win a contract and instead signed for Motherwell in January 2004, scoring on his debut against St Johnstone. He quickly became a regular in the Motherwell side, helping them finish in the top 6 in the 2004/05 SPL, and played a huge role in the title race that season, scoring two late goals against Celtic on the final day. McDonald continued his prolific goalscoring form the following two campaigns, becoming a fan favourite at Fir Park, and won his first international cap for Australia, playing against Bahrain in February 2006. His form encouraged Celtic to make a move in March 2007, and he joined the Glasgow club for the start of the 2007/08 season. He finished the season as the SPL's top scorer, with his goals helping Celtic win the league, and grabbed Champions League goals against Spartak Moscow and AC Milan. He continued his impressive run of form in 2008/09, again finishing as Celtic's top scorer, and was in double figures halfway through the 2009/10 season when a move back to England saw him rejoin Strachan, now with Middlesborough. Scott performed reasonably during his three and a half seasons with Boro, scoring regularly as the club attempted to win promotion to the Premiership. He continued to appear for the Australian national side, just missing out on a place in their 2010 World Cup squad, and went on to make 26 appearances for his country. 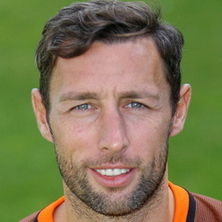 He left the Riverside stadium in July 2013, and spent just short of two years with Millwall before returning to Fir Park in February 2015 for a second spell at Motherwell, and played a huge part in the club retaining its SPFL Premiership status at the end of that season, and a top six finish in the 2015/16 season. When his contract at Motherwell ended, it looked like Scott would be returning to Australia, however at the end of July 2017 he signed a one year deal at Tannadice. Scott was born on this date in Melbourne, Australia. 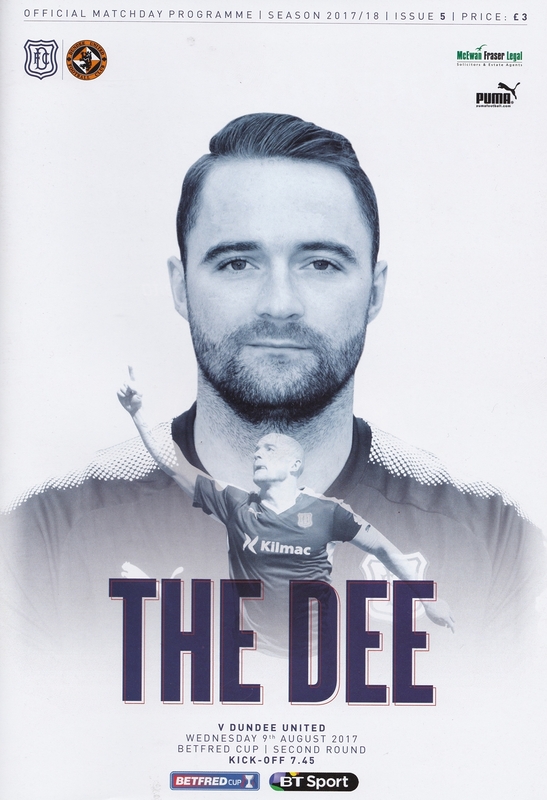 United entered their final BetFred Cup group game against Dundee at Dens Park knowing that, assuming they did not suffer an eight-goal defeat, they were already through to the next round. Dundee knew that they would also qualify for the next round unless United beat them by a six-goal margin for the first time in their history. However, whichever side won the game, whether in normal time or on penalties, would win the group and be seeded for that afternoon’s last 16 draw. United made two changes from the win over Cowdenbeath, with Scott Allardice and Mark Durnan coming in for Jamie Robson and Matty Smith. Tam Scobbie, who again captained the side, reverted to left back. Paul McMullan was again deployed as a lone striker, with new signing Scott McDonald only fit enough for a place on the bench. 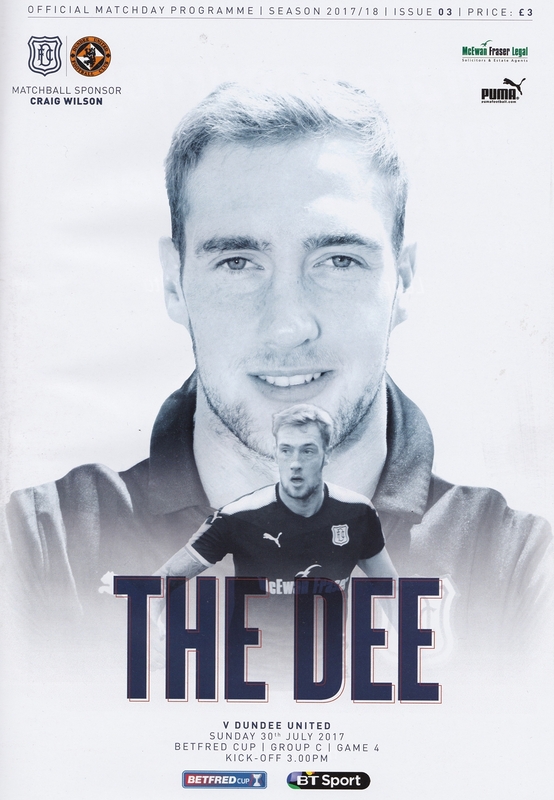 For their first home league game of the season, Dundee United made three changes from the midweek defat at Dens Park, with Jamie Robson, Stewart Murdoch and James Keatings replacing Jordie Briels, Lewis Toshney and the injured Tam Scobbie. New signing Paul Quinn was only fit enough for a place of the bench. United successfully progressed to the Premiership playoffs after a hard fought 2-1 victory at Tannadice against a tough Dunfermline Athletic team.